The hock is the most complex joint in the horse body. 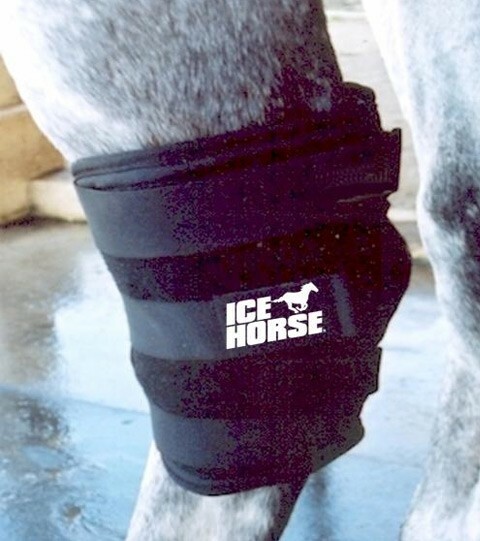 This wrap provides uniform consistent coverage to reduce swelling and heat in the front and back of the hock. Three straps configure the hock wrap to different sized hocks. 3 cold inserts included. The hock is the most complex joint in the horse body. This wrap provides uniform consistent coverage to reduce swelling and heat in the front and back of the hock. Three straps configure the hock wrap to different sized hocks.